Tis the season to spend time with loved ones while eating lots of food! It’s also the time of year that I find it extremely difficult to keep up with my blog, between holiday parties and travel. Thanksgiving is always a big project…but it’s also one of my favorites to blog since the memories and recipes are worth cherishing. 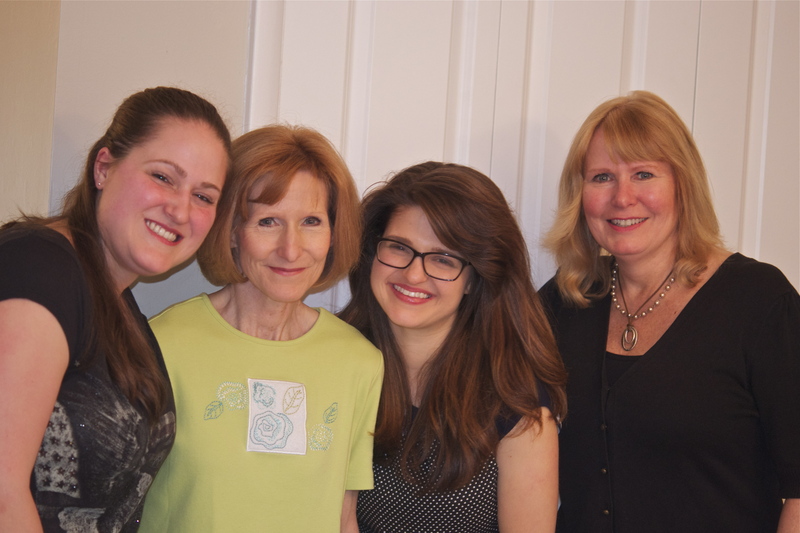 I flew down to Atlanta for the second year in a row to celebrate Thanksgiving with my mother’s side of the family, my sister Sarah and her boyfriend, and my boyfriend Tom. 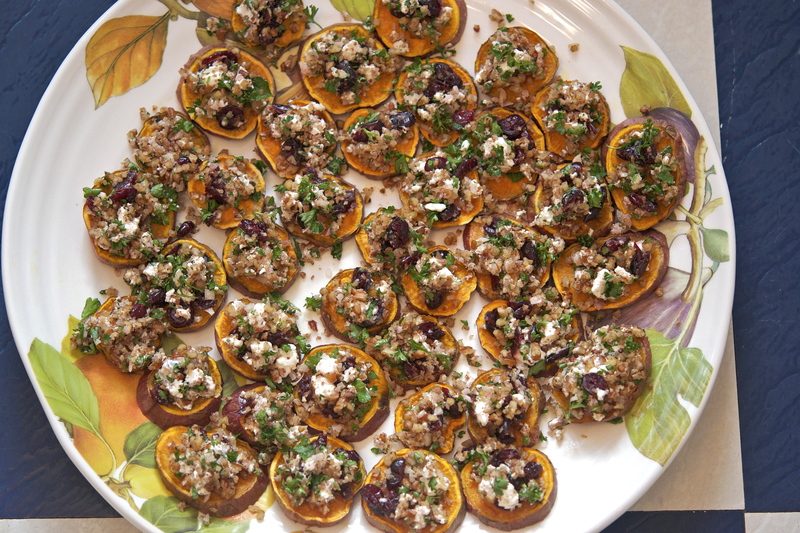 To start, we had several great appetizers to keep people occupied while the turkey and ham were finishing up. The above appetizer was courtesy of Smitten Kitchen (one of my favorite blogs) – it is healthy, picturesque, and delicious. 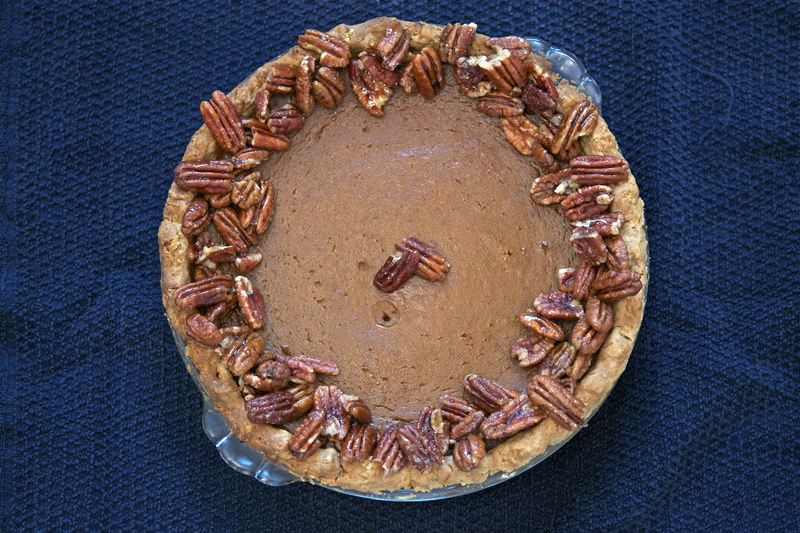 Tom made the topping, and changed the recipe by doubling the pecans and parsley and omitting the celery altogether. It was a hit. 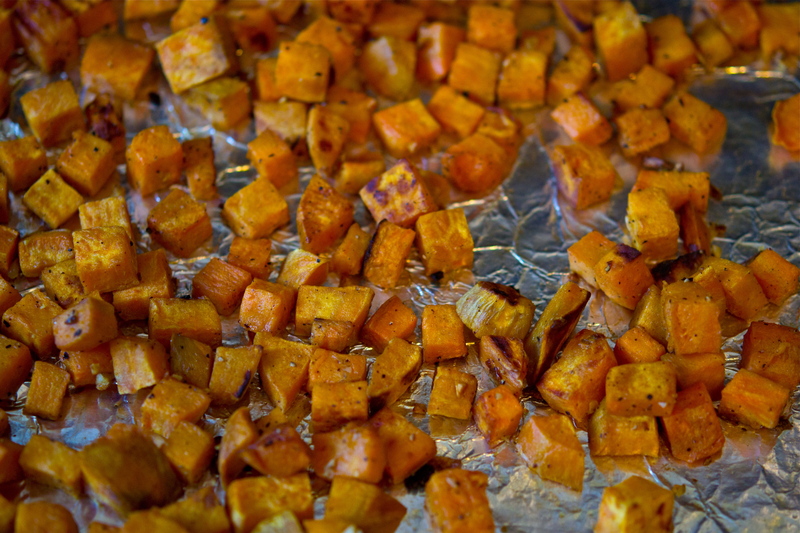 Those who know me know that I’m a bit of a sweet potato addict…so I polished off quite a few of these in between my cooking bouts. 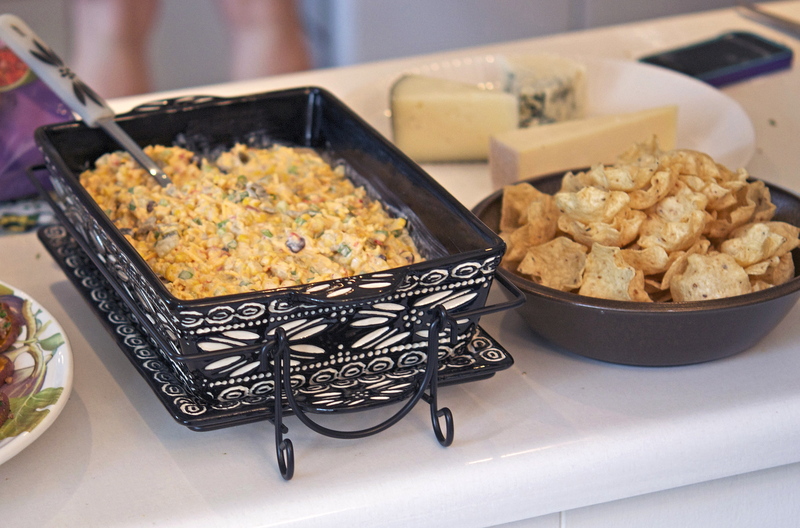 The next starter was my sister’s contribution, a cheesy corn dip. 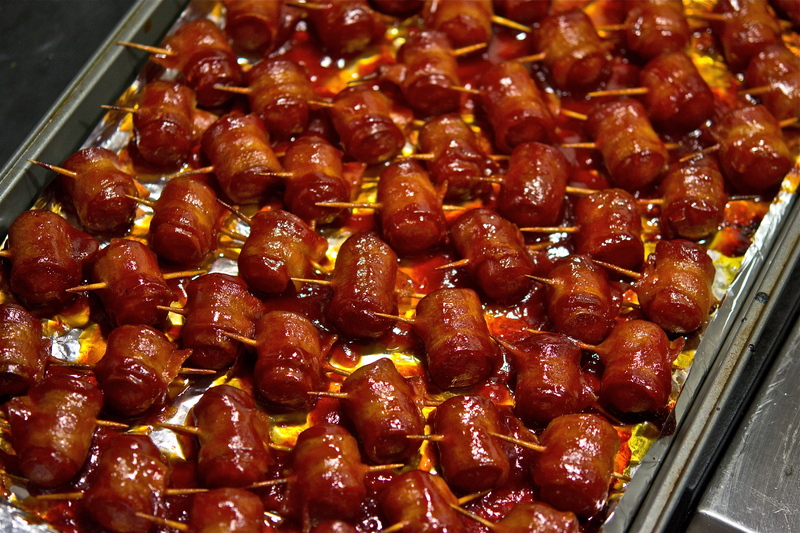 It’s one of those appetizers that you have no idea what it’s going to taste like until you try it. Sarah insisted on making it, and I’m happy she did – that bowl of tortilla chips had to be refilled at least twice, which is why this is a recipe worth sharing. It will probably be something I add to my hosting repertoire, and would be perfect for a Superbowl spread. Now let’s talk about the turkey: this is the second time I’ve prepared the bird using a dry brine, and I’ve come to believe that it yields a better result than a wet brine. While both produce a tender meat, a dry brine guarantees a deeper flavor, and the meat’s texture will be juicy instead of “watery”. Every family has a different method, and it really comes down to preferred tastes and comfort with preparation. It’s a tough bird to cook, especially considering most people get one shot at making it per year. Thankfully my family is an easy crowd, and they all loved it. 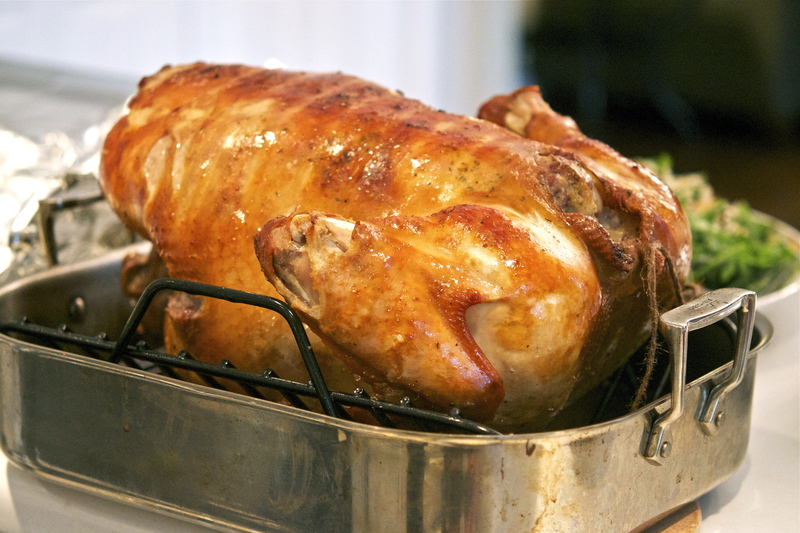 The preparation and roasting was fairly similar to what I’ve done in past years (Check out my first, second, and third turkey attempts), and I can always rely on my trusty All-Clad roaster. 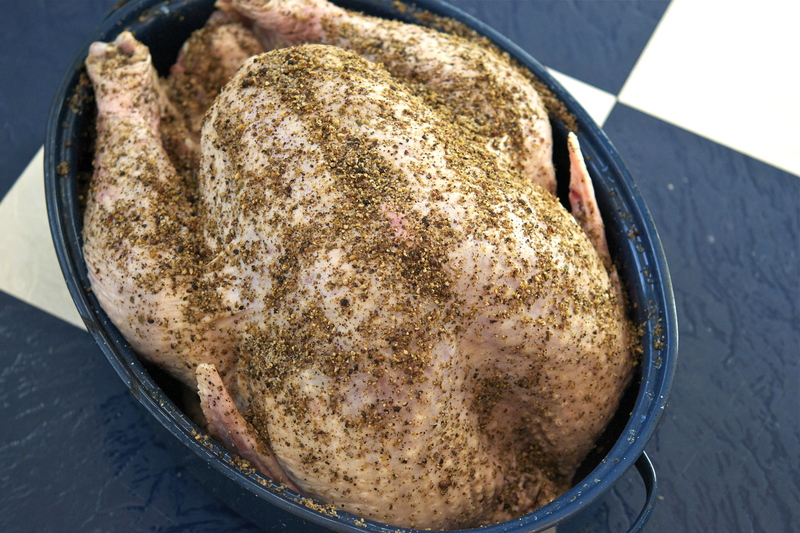 There are two things things I did differently that are worth mentioning: first, I tented the bird for most of the cooking process, and second I flipped it with the backbone facing up so the juices would keep the breast meat from drying out. It’s not as elegant a presentation as the traditional, but it did the trick! The salad was the “wild card” on the menu. The original recipe has you whisk together all of the ingredients for the vinaigrette…but I decided to emulsify the dressing with a hand blender instead. The result looked somewhat like Pepto Bismol but the flavor profile was (of course) far from it: it was fruity and bright with a bit of an edge (thanks to the ginger). 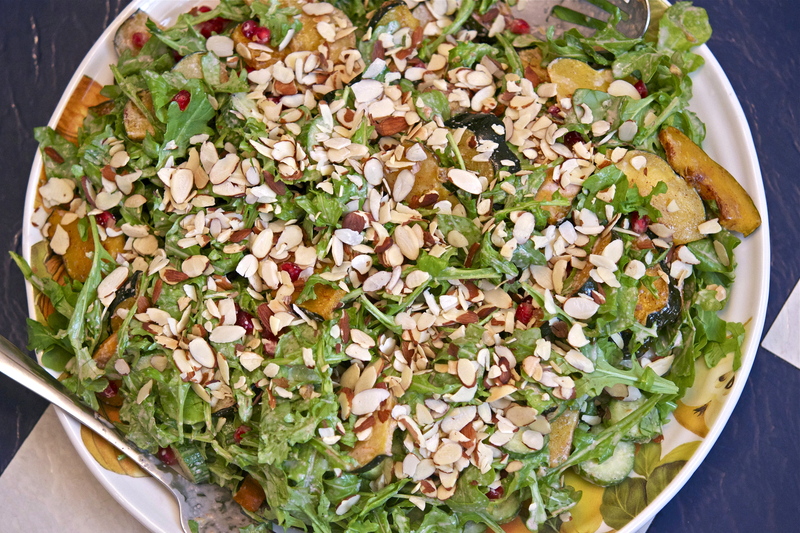 Tossed with the roasted squash, peppery arugula, sparkling pomegranates, crunchy almonds, this salad and vinaigrette make for one hell of a side dish. The pie was a bit of an experiment. 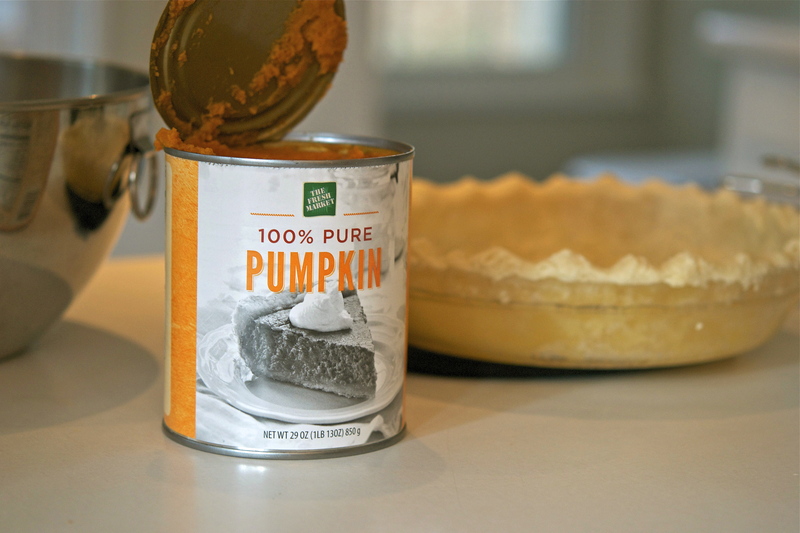 While the filling was fairly straightforward, the crust itself used buttermilk. The result was a flaky crust with a slight tang, but also a profound buttery taste. The filling was creamy and filled with spices. In an effort to add a decorative flair, I made some candied pecans for garnish – I couldn’t help but notice my relatives picking the pecans off of the uneaten pie…which means it was worth the extra effort. 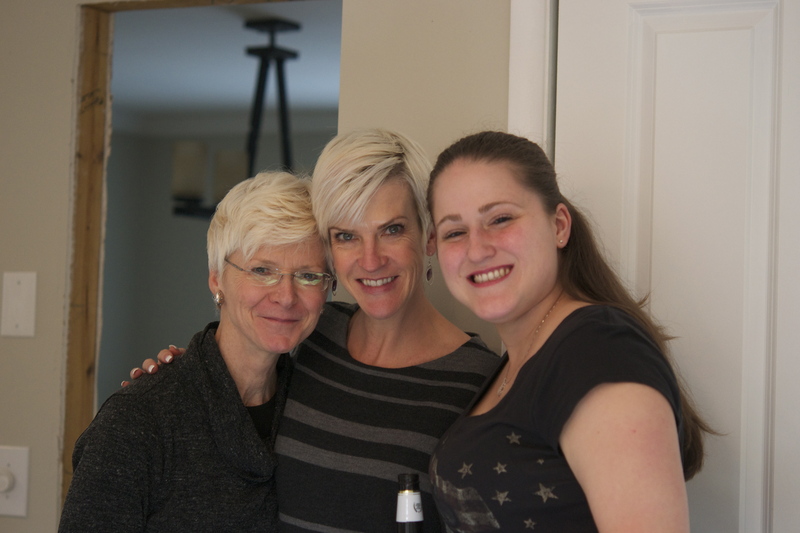 Overall, it was a truly memorable Thanksgiving, and I feel both thankful and fortunate to have such an awesome family. Given my love for cooking (and fear of having too little to eat!) 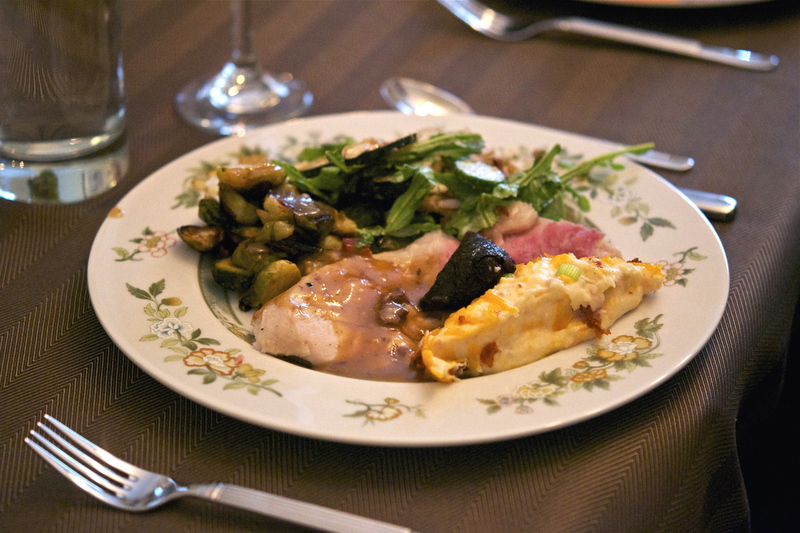 every Thanksgiving feels like a banquet – the food is plentiful, the wine is flowing, and the laughter is endless. In describing the meal to my coworker Emilio, he suggested I turn to the 15th century for my musical inspiration, and to look at the Feast of Pheasant: a banquet hosted by Duke Philip the Good of Burgundy in 1454, renowned for its excessive luxury. It’s sole purpose was both to celebrate and officiate an anticipated crusade against the Turks to regain sovereignty of Constantinople. The extravagant feast included a tradition practiced across Medieval France called the voeux du faisan, where nobles would take oaths upon a living bird – in this case, it was a pheasant. Aside from these formalities, the guests was lavished with food, wine, minstrels, theater, and live music…Guillaume Dufay, a highly renowned composer of the French Renaissance, was one of many invited to write original works for the celebration. While chronicles of the actual musical program are vague, there are three works commonly believed to have been included: Lamentatio sanctae matris ecclesiae Constantinopolitanae (“Lament of the Holy Mother Church of Constantinople“), Alma redemptoris Mater (“Loving Mother of the Redeemer”), and Je ne vis oncques la pareille (“I Have Never Seen the Equal”)…though some ascribe this last work to Dufay’s contemporary, Gilles Binchois. While discrepancies are present, for the sake of this post I will stand by the assertion that these are all connected to Dufay. To give a sense of what the music was like for such a feast, I thought I would showcase all three of the pieces. Enjoy, and Happy Holidays!!! One thing I love about Italian food is the bang you get for your buck. 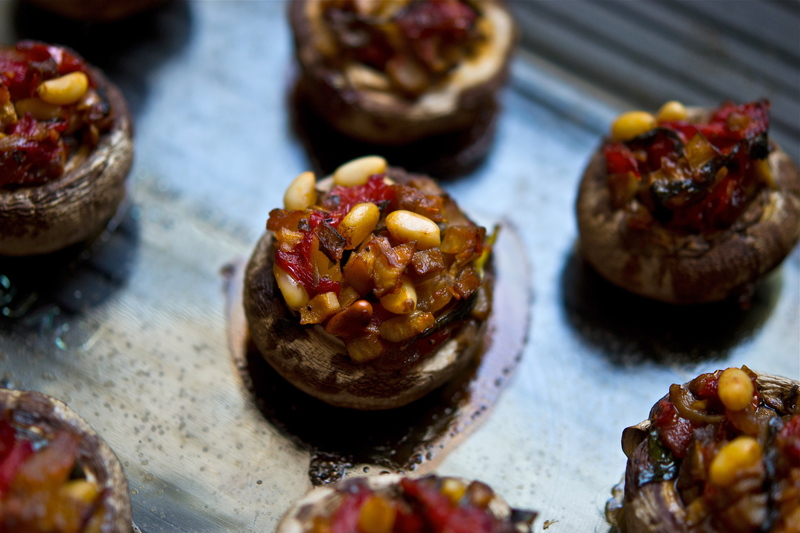 It’s one of the more versatile cuisines, and fits beautifully within any budget or schedule. This past weekend, my boyfriend Tom and I traveled to Boston’s North End (for lunch at Saus, my new favorite restaurants in town) and visited the Open Market shortly after. Aside from the standard deluge of veggies and fruits, we came across these huge bouquets of BASIL. Without thinking twice we bought two bundles, along with some tomatoes, asparagus, and red bell peppers. 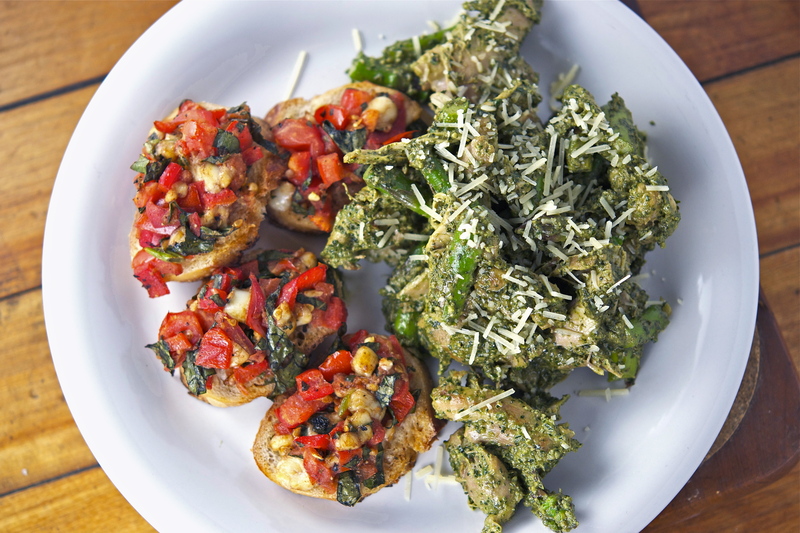 Our basil overload led to a platter of Roasted Vegetable Bruschetta and a to-die for Basil-Walnut Pesto that we tossed with pan-roasted chicken thighs and asparagus…it was so freakin good that I had to pinch myself to make sure I wasn’t dreaming. Pesto is originally from Genoa (a region located in Northern Italy), and comes from the Genoese term pestâ – “to crush or pound.” A traditional pesto contains pine nuts, garlic, basil, Parmesan, and olive oil that is “crushed” to a paste in a mortar and pestle (a word whose derivative is the Latin equivalent of pestâ). 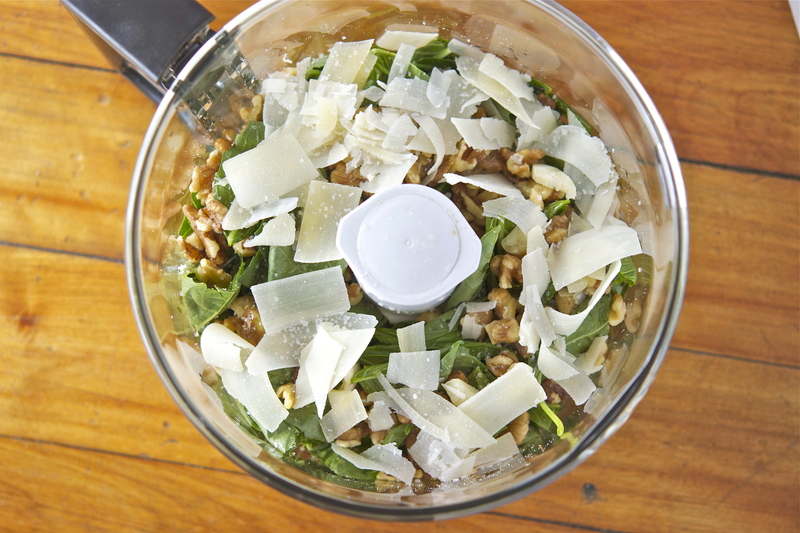 We opted for walnuts in ours, along with shaved Parmesan Reggiano. It honestly doesn’t really matter what ingredients you choose for a pesto, so long as they are complementary of one another and not totally wacky (but hey, no one’s gonna judge if you decide to make a pesto out of chocolate chips and parsley…but they probably won’t eat it). 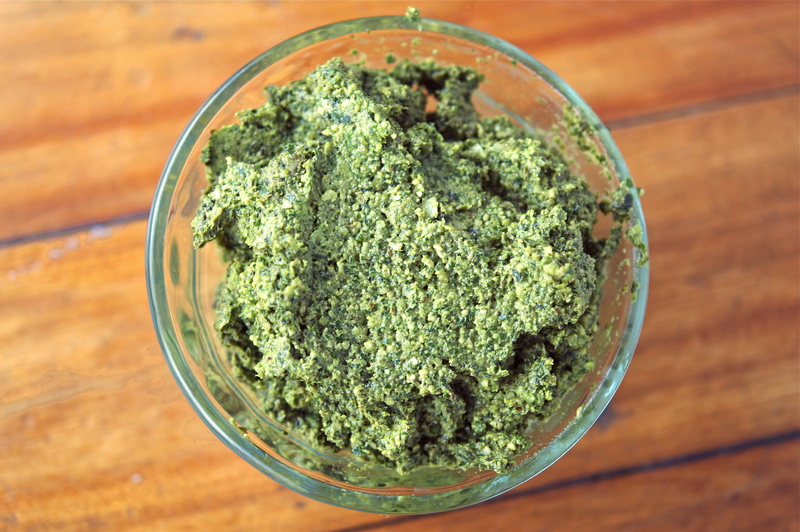 This pesto, on the other hand, will definitely be a winner at your next dinner party – click HERE to see the recipe! 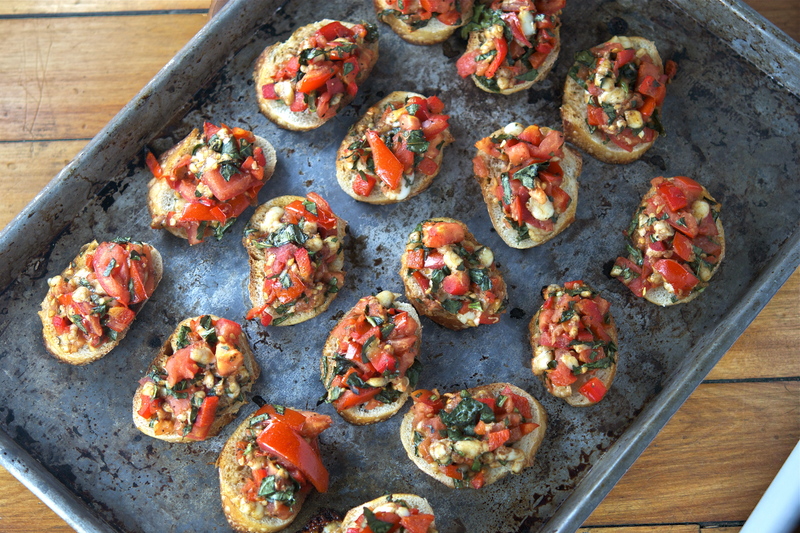 Bruschetta is one of my favorite appetizers – it’s simple, elegant, and (like pesto) fairly customizable. We roasted a bell pepper over an open flame (do this with caution, of course) and topped each slice of bread with a healthy dollop of basil, veggies, and mozzarella. 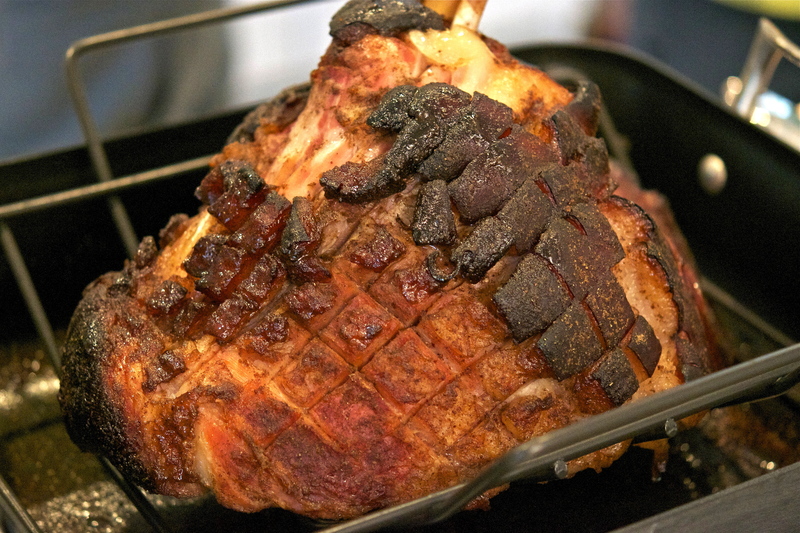 The metal pan gave each piece a toasty finish, and every bite was packed with flavor. 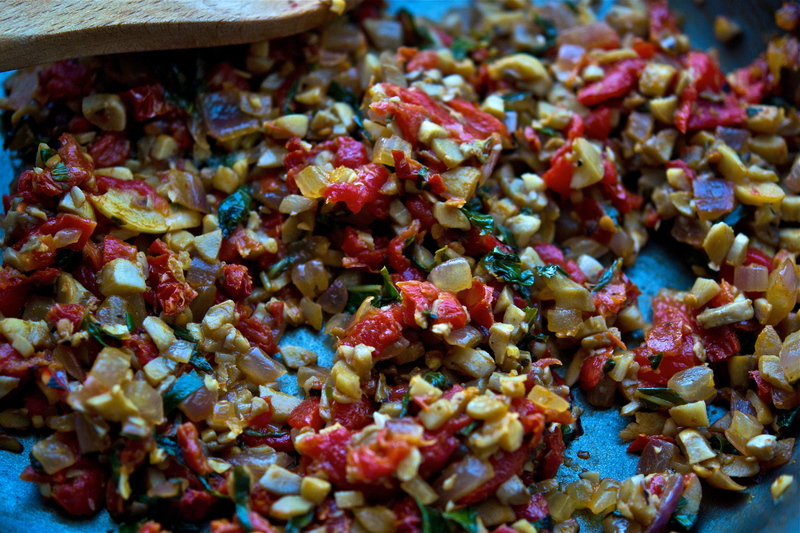 This can be a hit for vegans (great with pine nuts) or carnivores (chicken would be killer!) Whatever your speed, this is a great appetizer or side, and basil is hands-down the herb to go with: click HERE to see the recipe! Both of these dishes, as aforementioned, can easily be tailored to the preferences and vision of the chef. Room for creativity is a beautiful thing in cooking – as you gain experience, a recipe becomes more of a suggestive tool that can applied to your own ideas. There is definite symmetry between this concept and performance. When a musician first encounters a piece, they go through the motions of learning the notes and becoming comfortable with the overall work. Once it’s “under their fingers”, interpretation steps in – the moment for the musician’s voice to really shine. 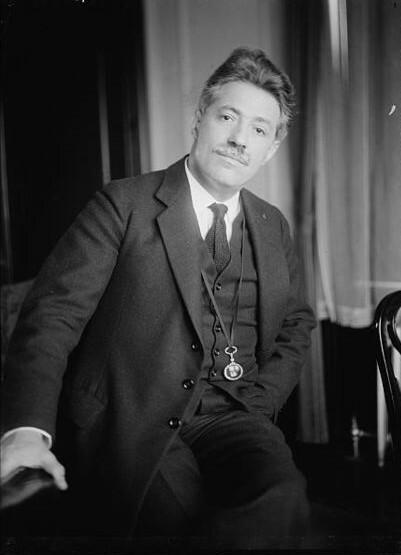 Perhaps one of the greatest voices in the history of classical music is that of Fritz Kreisler. 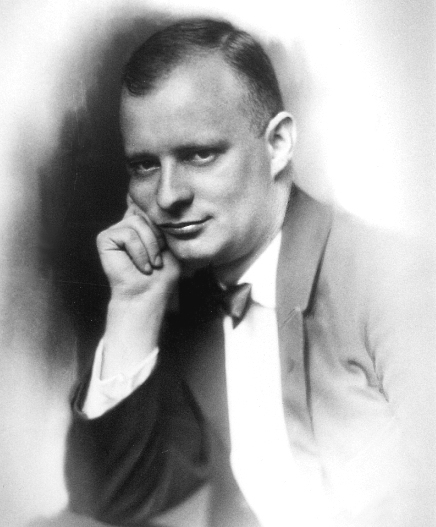 Both a violinist and a composer, he was an extension of an era where virtuosic musicians were putting their voice into performance AND writing. The art of musical interpretation is thus beautifully ensured through each of his compositions’ intimate understanding of the instrument. Today, violinists are able to quite literally pour their soul into writing that fits the violin “like a glove”. I find Kreisler’s Recitative and Scherzo for solo violin to be especially apropos – written in 1910, Kreisler dedicated this short work to his colleague violinist Eugene Ysaÿe (yet another performer who also composed). The below recording is with Jascha Heifetz – at the age of 11, Heifetz performed before Kreisler for the first time. Kreisler turned to the others in the room and exclaimed “We might as well take our fid­dles and smash them across our knees.” After listening to the video below, you’ll understand what he meant – enjoy! My friends tease me for being a “social butterfly,” and it’s no secret that I love to meet new faces and host events. That being said, there will always be a set of friends who are nearest and dearest to my heart; those who have been with me through the good and the bad. Brian McCarthy is hands-down one of those friends. 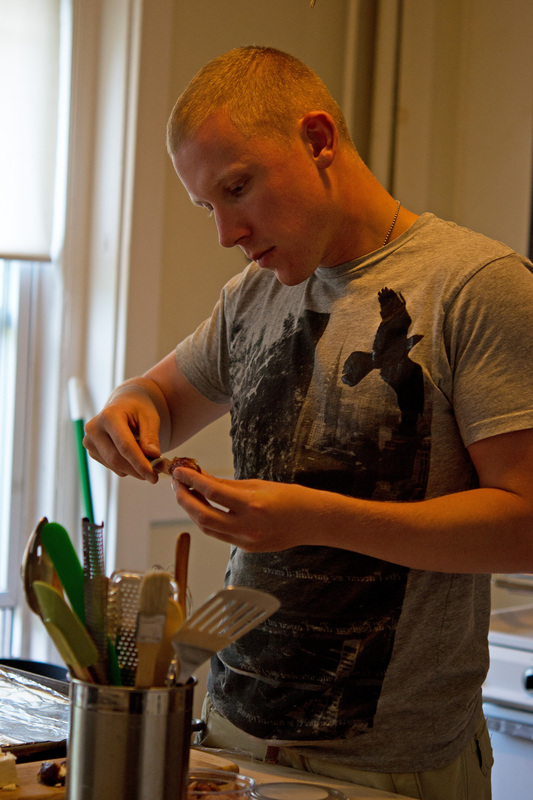 Getting ready to join the 25th regiment in Hawaii, he decided to visit Boston to hang with friends before deployment. The other day for dinner, we were both exhausted after a long day of work, and needed something quick yet therapeutic. 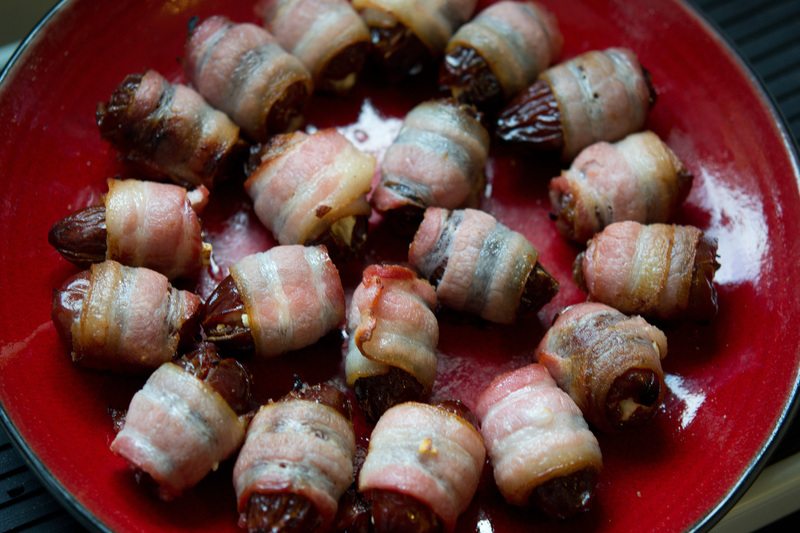 Given the healing powers of bacon, Brian had the perfect idea: Bacon-Wrapped Dates with Feta and Almonds. Filled with feta and almonds, these snacks are the perfect combination of sweet and salty. 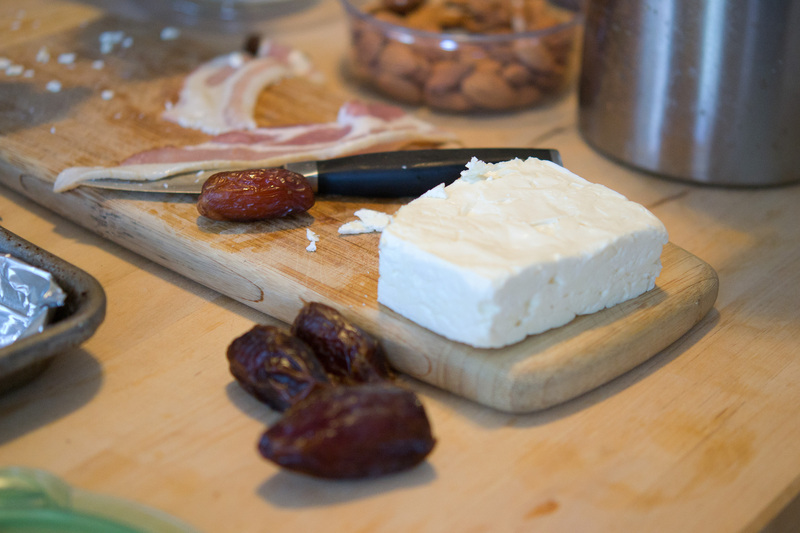 The warmed feta and dates blend to a creamy consistency, while the crisped bacon and almonds provide a satisfying crunch. You have to allow them to rest for a few minutes after baking, which I can guarantee will be a true test of your willpower and patience…The result is a poppable treat that practically melts in your mouth. Care to indulge? 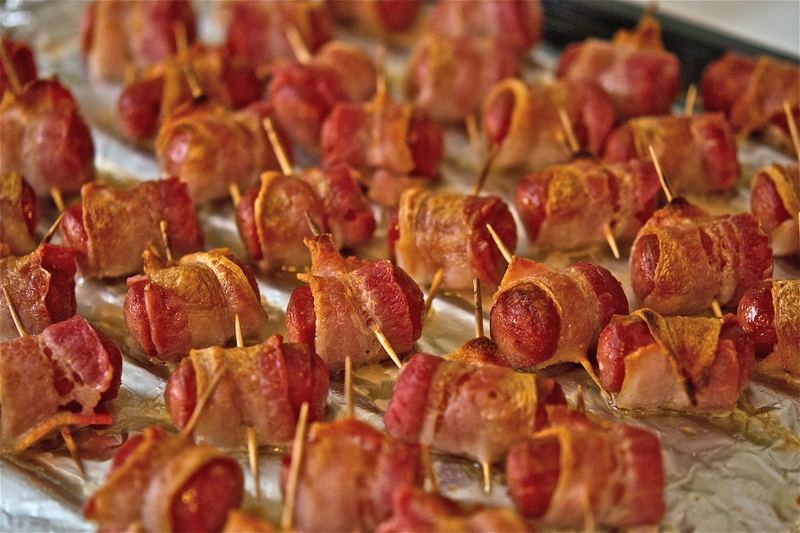 As Brian would say, “40 rounds!” Click HERE to try these irresistible treats! 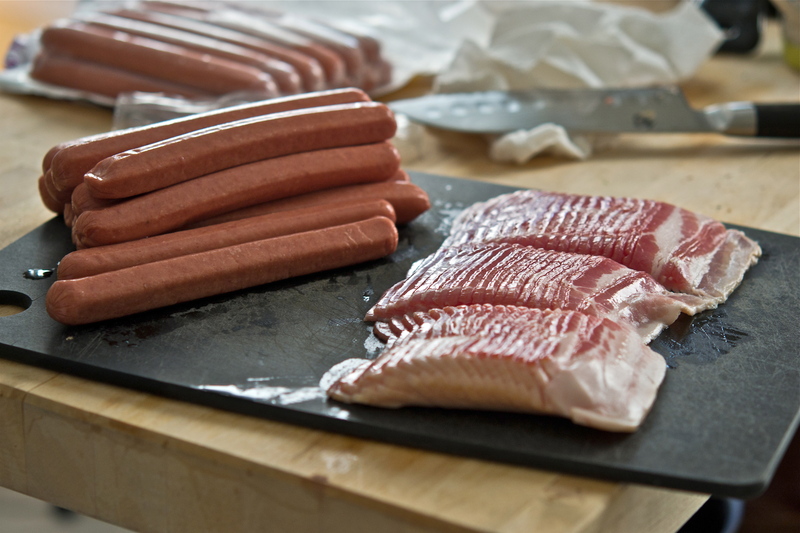 Indulgence, luxury…both dates and bacon can provide delicious refuge from the chaos of everyday life. When combined, they create an experience that defies the limits of our senses. Such an experience called for a musical pairing that could indulge the soul with beautiful refuge. Brian had the perfect suggestion: the Intermezzo from Pietro Mascagni’s opera Rusticana Cavalleria. An instrumental respite, the implicit intensity leaves listeners breathless in its wake. A tale of tragedy, betrayal and lost love, this opera is rich with soulful melodies. Even though the Intermezzo lasts no more than 4 minutes, it fully captures the emotional clout of the tragic tale. 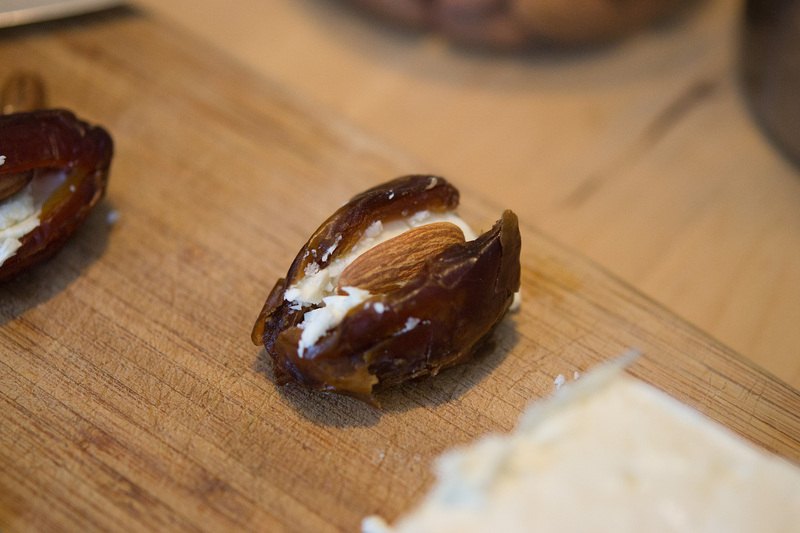 A similar experience can be said for these dates, whose taste and complexity is nearly impossible to forget for days on end. Enjoy this beautiful piece! The Academy Awards: an evening of glamor where the “who’s who” of Hollywood gather to honor the year’s most celebrated films. For a hostess, it is the perfect excuse to throw a party – but this couldn’t be just any part, it had to be in true Hollywood form: red carpet entrance, formal attire, and of course classy hors d’oeuvres. For this post, I though I would share three of the dishes featured in the extensive spread: Coconut-Crusted Chicken Tenders, “Eggstremely Good” Deviled Eggs, and Fiery Jalapeño-Bacon Bites. 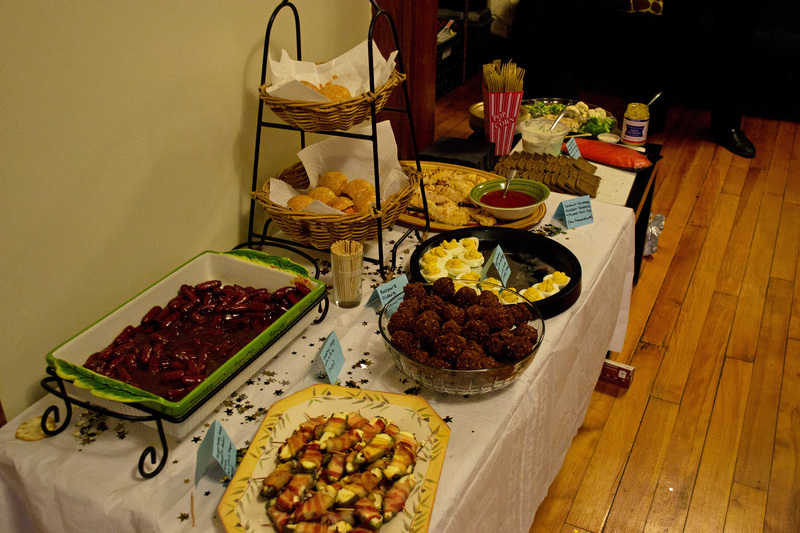 It’s worth mentioning that I created appetizers to pair with each of the various film nominees. These chicken tenders, for example, were grouped with The Descendants: a film starring George Clooney that takes place in Hawaii. Though simple in concept, the flavor of these was extraordinary (and a wonderful twist on the standard breaded variety). They can be served with any dipping sauce, though sweet chili sauce works quite beautifully – click HERE to see how to make these tasty chicken tenders! I think deviled eggs have received a bad rep as the appetizers found at any and every gathering, devoid of flavor and character. In reality, they provide the perfect canvas for creativity: wasabi, curry, even smoked salmon are all flavors to try! On top of that, they are great for large parties (budget-friendly!) and such an elegant addition to any affair. I paired these with the film Extremely Loud and Incredibly Close (as their title suggests). 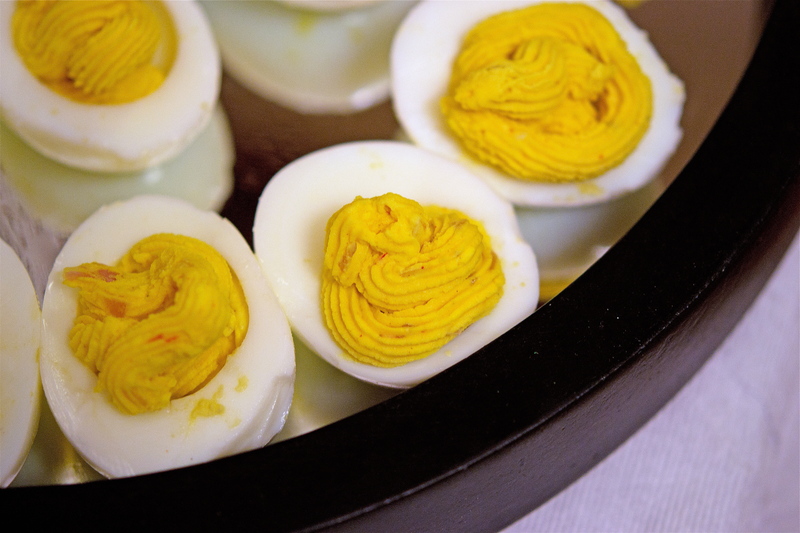 While deviled eggs are a classic, a solid foundation is vital to their success which, of course, starts with boiling. 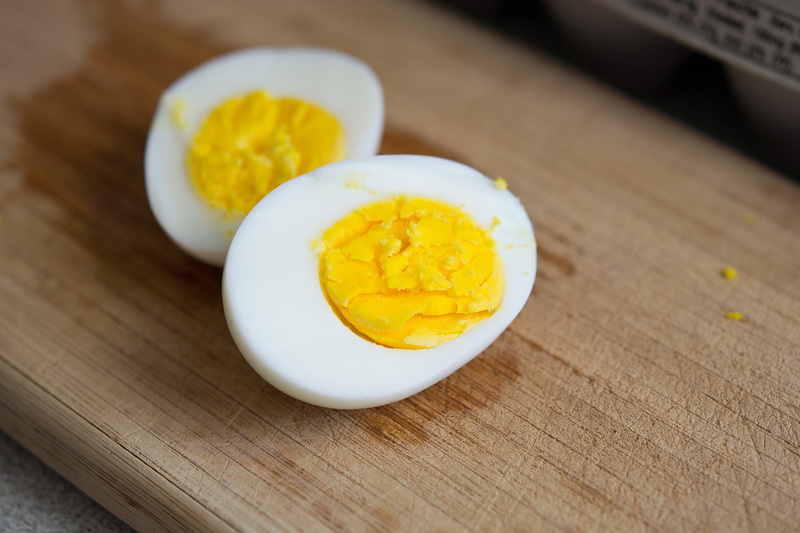 Too often are we plagued by hard-boiled eggs with gray, chalky yolks. Yet there is a trick to guarantee a perfectly cooked center every time – removing the eggs from the heat once the water reaches a boil. I was apprehensive of this method at first glance, though it is utterly foolproof. 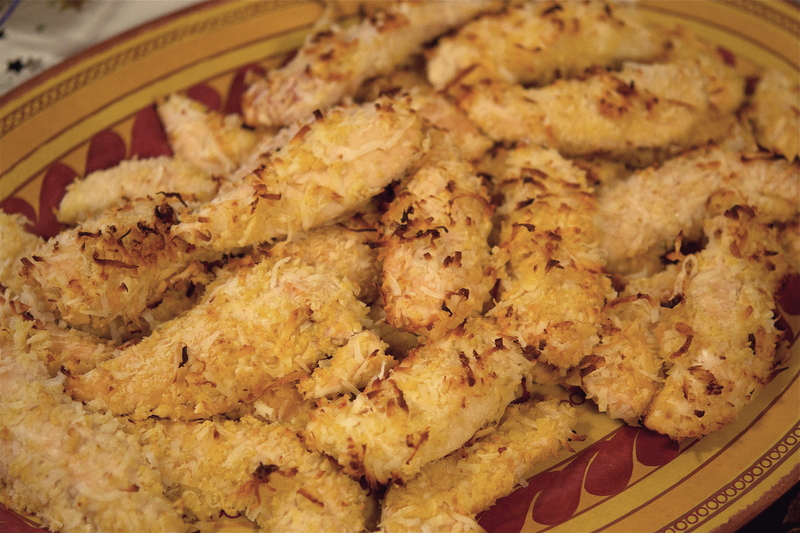 Click HERE to see the recipe for these “eggstremely good” bites! 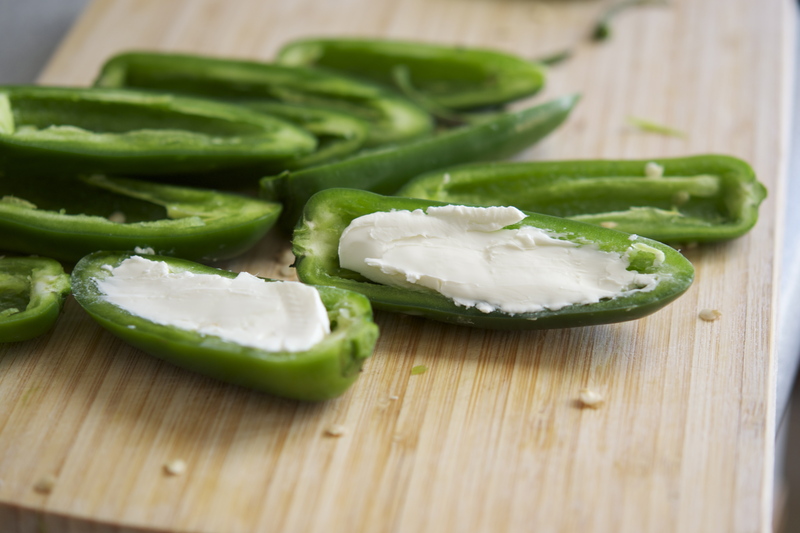 These aren’t just spicy…they are downright addictive. 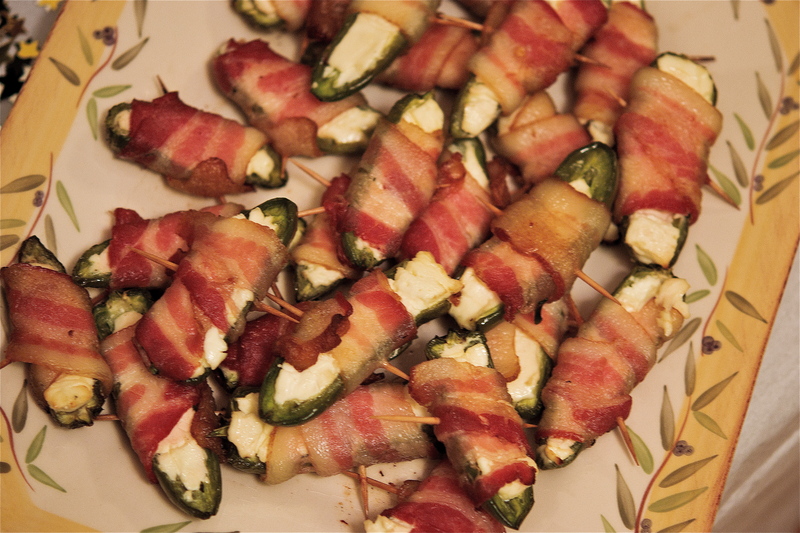 Who would have thought the simple trio of jalapeño, cream cheese and bacon could have so much moxie? Warning: you will NOT want to stop eating these once you’ve started…a fate many of my guests fell victim to. I paired these with the film Girl with a Dragon Tattoo given their dangerous, “fiery” appeal. 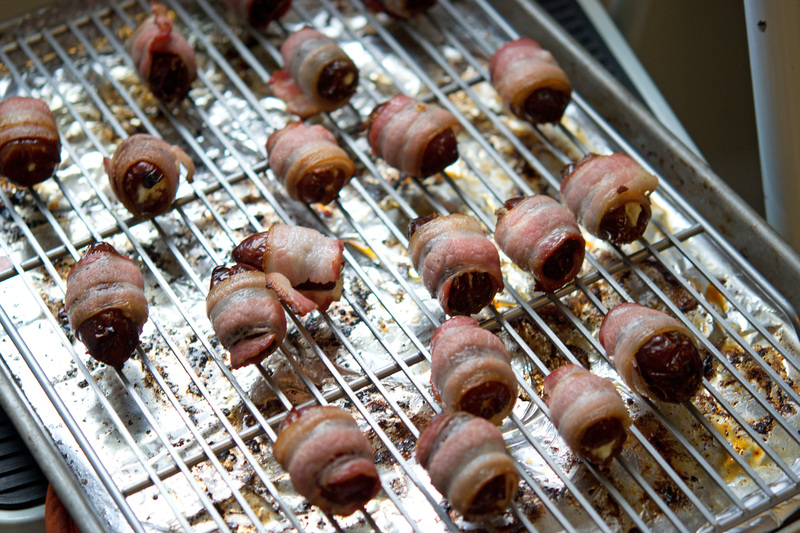 I guarantee these WILL be the star at your next event – click HERE to see how to make these addictive bites. Movies are an addictive diversion: the excitement, the passion, the humor – it compels us to buy tickets or press play time and time again. With that in mind, I wanted a piece that truly captured the energy of the “movie magic”; a piece that pulls you in, and has a palpable, compelling story. Funnily enough, I was only recently introduced to this work, yet it is the ideal match: Poulenc’s Sonata for Violin and Piano. Composed during the German occupation of Paris, the piece is replete with passionate energy. It is dedicated to Federico García Lorca – a Spanish poet assassinated during the Spanish Civil War. The first and third movements are driven by a dark, potent energy that bring listeners to the edge of their seats, while the second evokes a deeper emotion for which we have no words (though Lorca does, with Poulenc attaching the following quote by the poet to said movement: “The guitar makes dreams weep”). The following recording is with violinist Josef Suk – enjoy! I don’t know if I’ve mentioned this, but my cold weather tolerance is not built for the Northeast. Alas, here I am – a southerner with a surplus of scarves and mittens – prepping my mental sanity for the cold, dark months to come. Thank God for the onslaught of rich, warm recipes of the season – meaty stews, creamy soups, rich casseroles, etc. 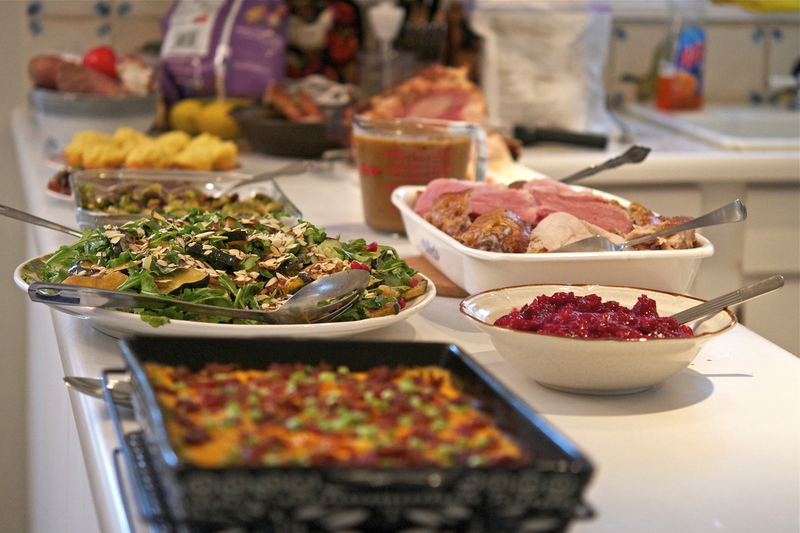 Tis the season for eating (no regrets!) and spending time with friends and family enjoying it! Thus my good friend Sev (a clarinetist) unearthed his cast-iron caquelon to melt a ridiculous amount of cheese for a Swiss Fondue that is to die for! 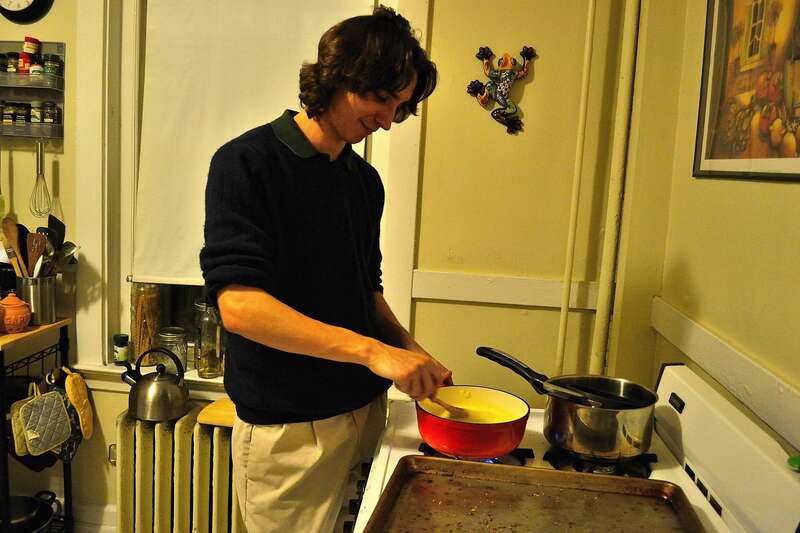 As a native Swiss, Sev’s approach to fondue is far more serious than what most American households have become accustomed to (i.e. prepackaged fondues and queso look-alikes). He only uses quality ingredients, has specific standards on cookware and utensils, and prepares the dish by sight and feel. Gruyère (NOT Swiss Cheese) is the key to this dish. To demonstrate how much the Swiss value their Gruyère, it was recently given the certification Appellation d’origine contrôlée (French for “controlled designation of origin”). 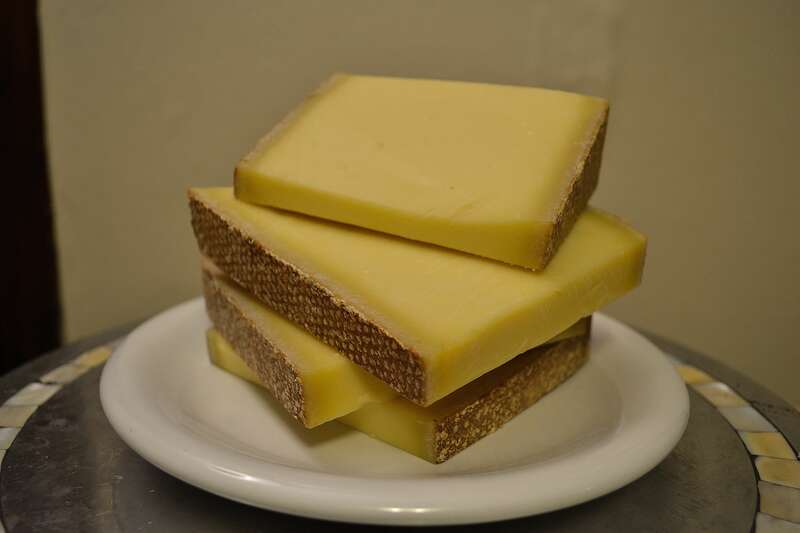 As a result, Gruyère from Switzerland (and France, to some degree) must meet certain standards of production and “affinage” (French for “maturation”). Locations for this aging must be cellars with climates similar to natural caves (obviously caves being the ideal) – this ensures control over the levels of temperature and humidity. The affinage can take anywhere from 2 to 10 months, with the flavor and color achieving greater depths the longer it ages. Derived from the French term “fonder” (meaning “to melt,” in French), the earliest recipe for fondue dates back to 1875 as a national dish of Switzerland. It was a classic peasant dish as a way to use up leftover cheese during the cold, winter months. 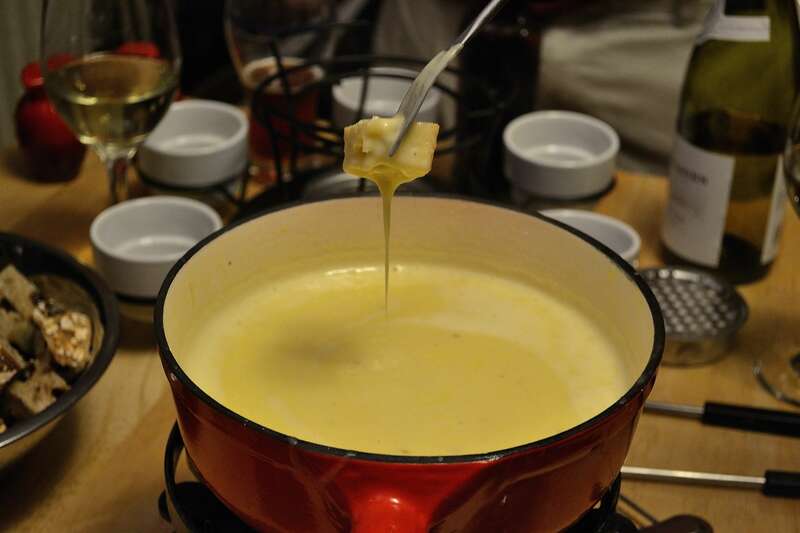 Fondue was a way for friends and family to come together and enjoy a single dish, and it has since come to serve as a symbol of unity to the Swiss. 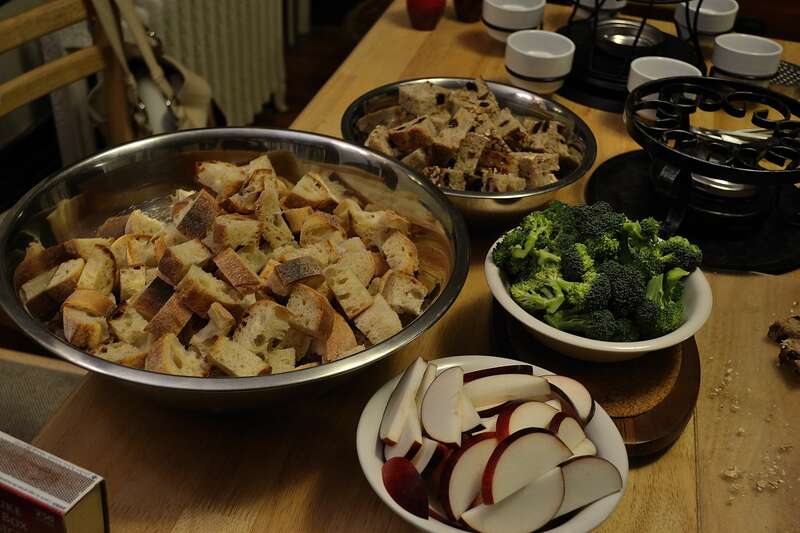 Bread is the traditional accompaniment, but I love to include fruits and vegetables. At the end of the day, the art of fondue is not by precision but by feel – knowing the right consistency, temperature, and adjustments to make are all part of the technique. That being said, this recipe is a great place to start (and will be ten times better than those prepackaged varieties, trust me) – click HERE for Sev’s authentic approach to making a great fondue. Fondue, as an export of Switzerland, is adequately associated with the rustic mountain life of its native consumers. This led Sev to recommend the following: Richard Strauss’ Eine Alpensinfonie (An Alpine Symphony), Op. 64. This work illustrates an eleven-hour journey, from dusk till dawn, spent trekking an Alpine mountain. It is the largest and last of Strauss’ tone poems; it is also considered to be his most popular. The composer had a great passion for nature, and took inspiration for the work from his own experiences as a boy. This past summer, Sev and I drove to New Hampshire with our good friend Danny to hike Mount Washington – out of necessity, we listened to this piece on the drive home. The recording I’ve included below is with Andrè Previn & Vienna Philharmonic Orchestra (the movements of the “journey” are listed in the video’s description) – I hope you enjoy! 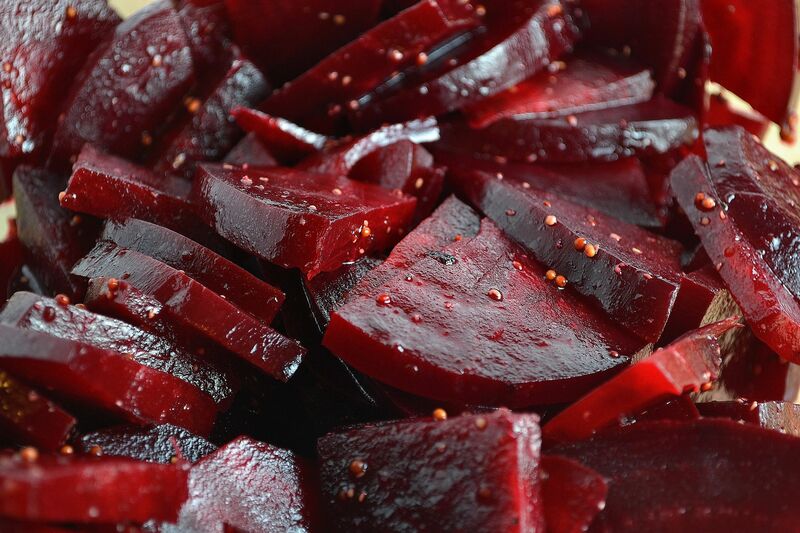 Beets – a true “gem” of a vegetable. As beautiful as they are nutritious, these ruby-red root vegetables have made a comeback in the culinary world. 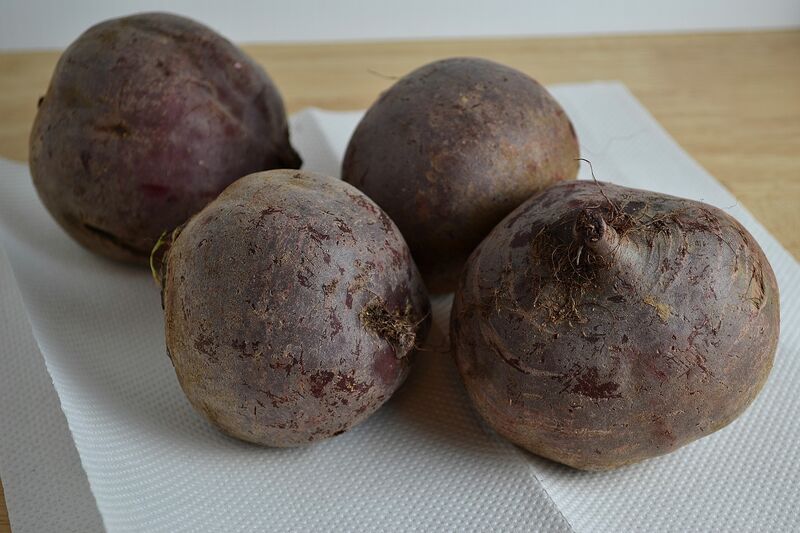 From impressive garnishes to hearty soups, beets have the ability to liven up any dish. 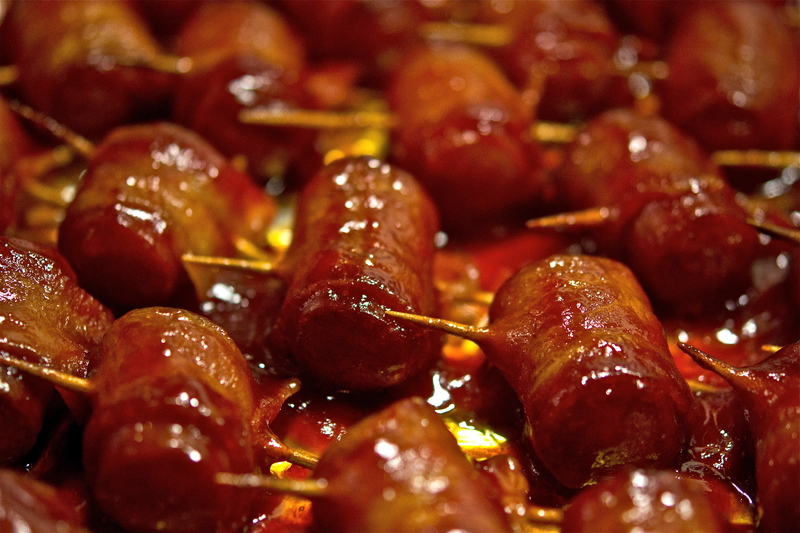 There are a number of ways to enjoy them, from boiled to raw. When trying to find a recipe for a dinner with my close friend Maya Jacobs, I chose to make a Roasted Beet Salad. Those who have cooked beets are all too familiar of their notorious staining quality. 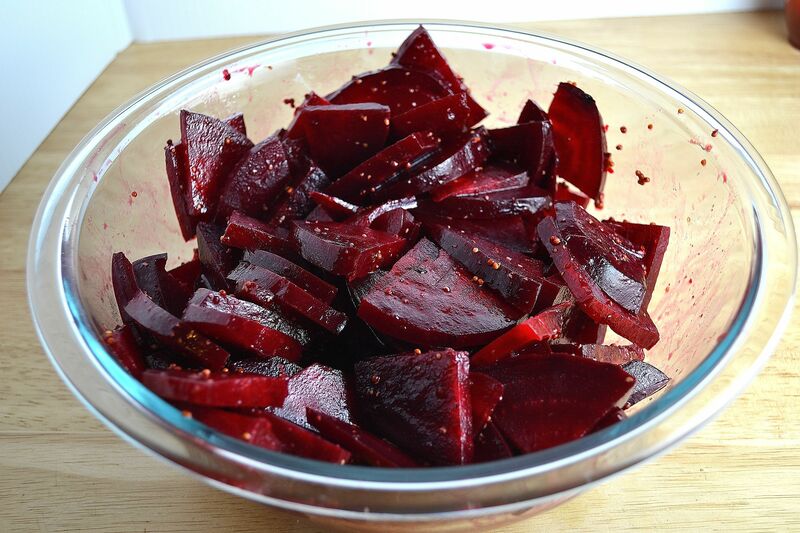 Beets get their color from betalain pigments, producing hues that range from sunny golds to dark crimsons. The cells containing these pigments are very unstable, causing their color to bleed when handled (cut, scrubbed, basically anything). They leave a nasty stain, so I recommend NOT wearing your favorite white shirt while preparing them. These beets are cooked skins-on, which allows them to retain the majority of their juices during the cooking process. Be sure to allow them to cool to a reasonable temperature before removing the skins – trying to handle scalding beets will inevitably leave you covered in beet juice. While this is a very simple salad, it is packed with flavor – the vinaigrette helps balance the sweetness of the beets, with the whole-grain mustard providing a nice visual contrast. 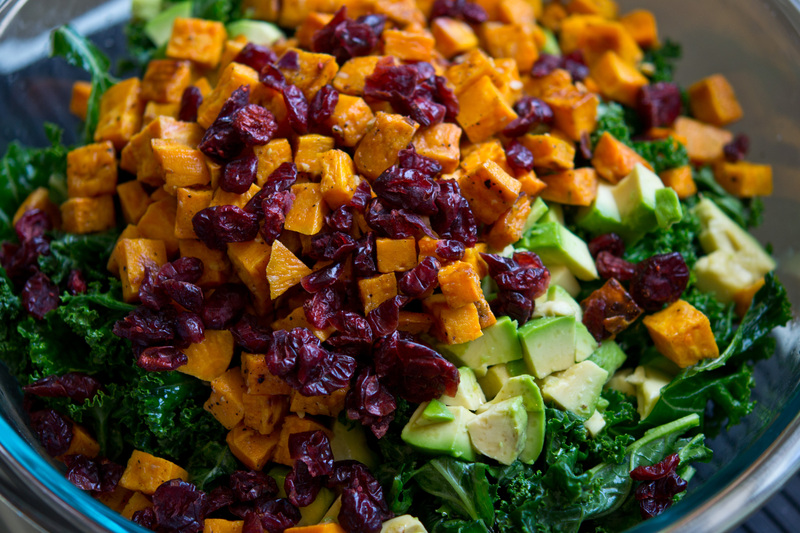 This is superb recipe, and remarkably easy to make – click HERE to see how to make this colorful dish! 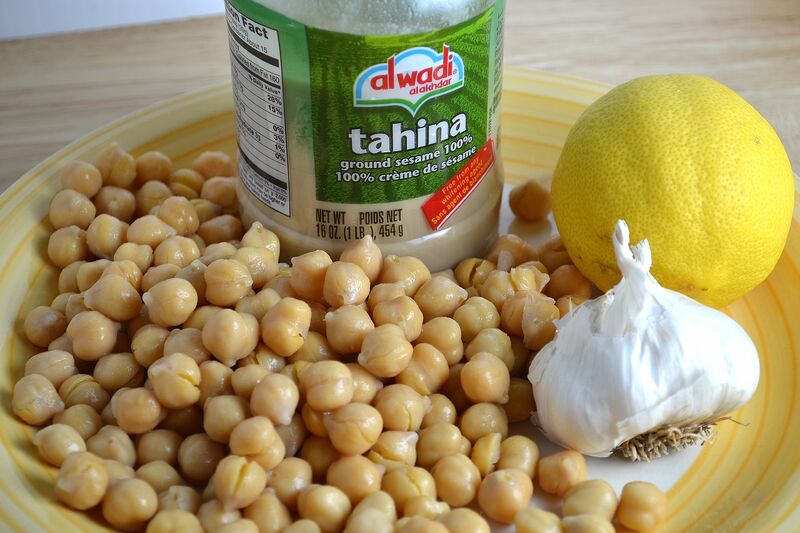 I mentioned this was a dinner with my friend Maya…and I am FINALLY getting to blog about her famous hummus! The trick here is really basing things on sight and taste, rather than precise measurements – Maya knows what makes a solid hummus, so it definitely takes practice. The ingredients are simple, and I encourage all my readers to give this a shot – click HERE to see Maya’s acclaimed recipe! Both hummus and beets have a rich history in Middle Eastern cultures, which led me to the arabesque – an Islamic art form known for its vegetal, flowing design. The term found its way into Western classical music as a way for composers to evoke an Arabic ambiance. One of the more famous examples is Claude Debussy’s Deux Arabesques. One of Debussy’s earlier works, this work (for solo piano) was composed when he was still in his 20’s. Both movements are filled with embellishments, the first more serene and the second more lively. I hope you enjoy!